Buzzing the Rock | Where's Wiwi? 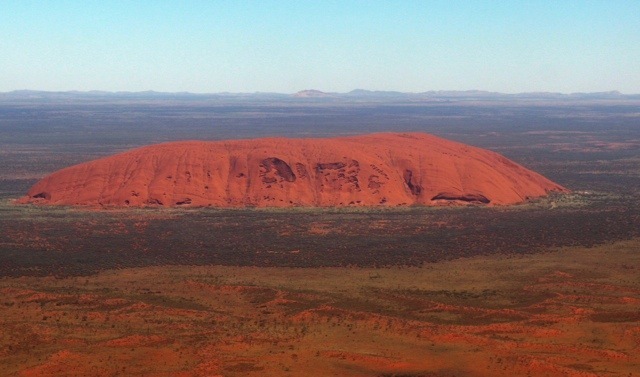 Ayers Rock, or Uluru, has long been on my Bucket List and I’ve finally arrived in Australia’s Red Centre to check it out for myself. The arrival into Uluru was breathtaking. I’d already had the red hot tip from my brother to sit on the left side of the aircraft – the approach can be from either end of the runway, but on the left, you will definitely see it – and he was dead right! We waited anxiously for a first glimpse, disappointed that our window was so filthy. When Ayers Rock finally came into view, it was a surprise to see how close it was, I almost felt like I was Maverick in Top Gun, buzzing the tower! We’d had to sit in the very last row to get a left side window seat, and although the view was grimy, this was our reward…. And this is why window seats are always worth it! Hear hear! It definitely paid off! I have been to Uluru before many years ago, but we drove…and we’ll probably drive again this time… that is a fantastic view! Thanks Ali, flying in was pretty cool but I imagine you see all sorts of fabulous things on the drive! !